ZAKA - Acting Chief Bota, Kamurai Zezai has called upon responsible authorities to dismiss Munjanja village head, Phillip Munjanja whom he says is violating the Traditional Leaders Act by illegally settling villagers. 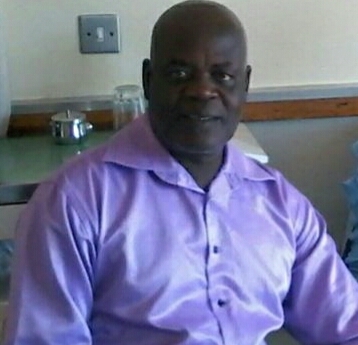 In a letter dated March 19, 2019 to District Administrator (DA), Zaka Rural District Council chairperson, Masvingo Chief's Council, Provincial Administrator (PA) among others, Zezai appealed for Munjanja’s removal from the payroll and his investigation on many alleged offences. Zaka DA Ndeya Nyede confirmed receiving the letter and said his office was dealing with the matter. He said Munjanja was not the only one selling land illegally, warning all village heads against the illegal practice. "I received the letter from Chief Bota. He is not the only one parceling land illegally. We are handling the matter holistically and procedurally. I cannot preempt this but I can confirm that steps are being taken to curb this practice which will see drastic action as prescribed in the Traditional leaders' act. In the letter, Zezai points to reports that Munjanja is selling land illegally, adding that he carried out his own investigations and found them authenitc. "Initially, evidence collected by my messengers and Headman Chipfekeche indicated that Munjanja has violated the Traditional Leaders Act (Chapter 20:04) and the Rural District Councils Act (Chapter 20:13). He allocated land to people at Chidziva business centre which belongs to Zaka Rural District Council. Twenty-eight households were allocated residential stands in areas meant for pastures and nine residential stands were allocated to areas earmarked for Jerera growth point expansion encroaching into land reserved for St Joseph’s High School expansion," reads part of the letter. He also accuses Munjanja of undermining him and Headman Chipfekeche and abusing development levies by not receipting paid up villagers. "I recommend Zaka RDC to investigate Munjanja without fear or favour and hand him to the police. All illegal structures constructed around Jerera be demolished, Philip Munjanja be suspended as village head Munjanja," reads part of the letter. When contacted for comment, Munjanja said dismissed Zezai’s allegations, saying the acting chief was out to tarnish his good name. "The chief has interests in my village. He wants to give my village to Chipfekeche but I won a court case against them recently and theirs are just ways to fight me and soil my name," said Munjanja.